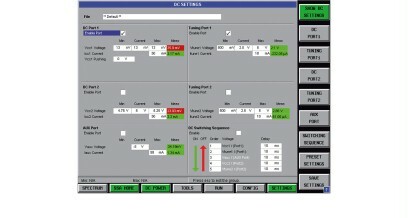 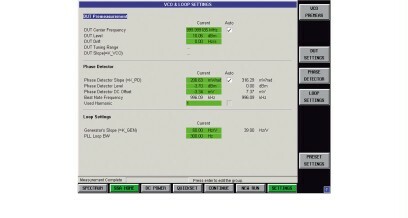 Easy setting of test setup in configuration menu with display of recommended measurement range. 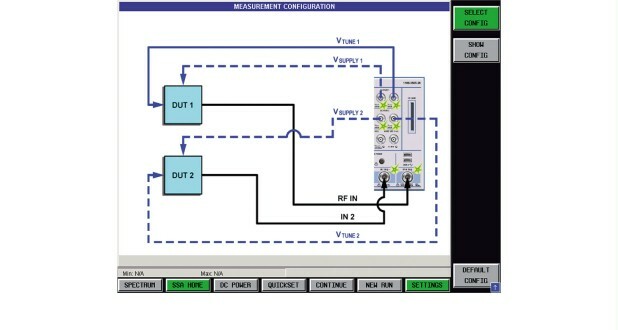 Measurement carried out on two identical oscillators. 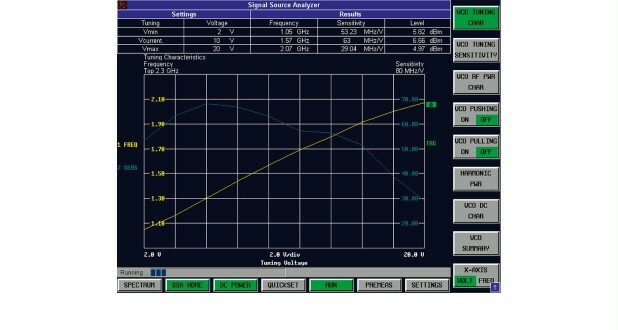 The final result is corrected by 3 dB. 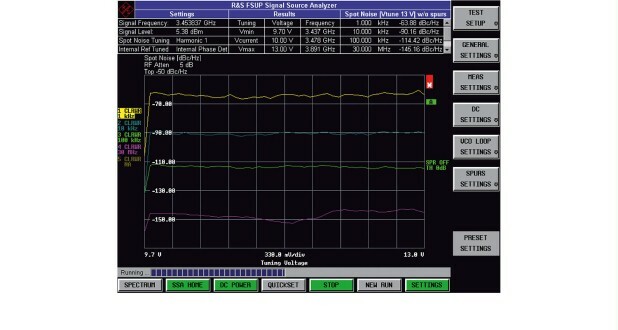 Listing of all important parameters for a stable phase noise measurement using the phase detector method. Typical phase noise measurement with the phase detector method: Signal frequency, level and residual FM/φM are displayed. 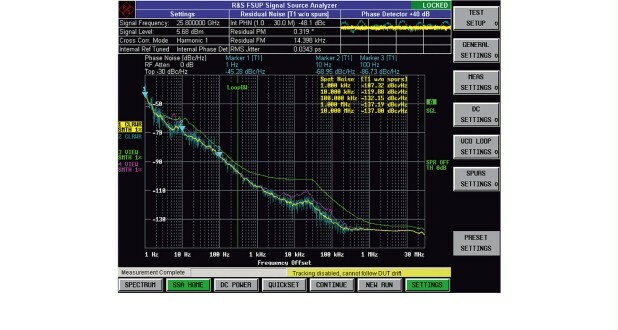 Phase noise values of an oscillator at different offset frequencies as a function of tuning voltage. Typical test setup for residual noise measurements. 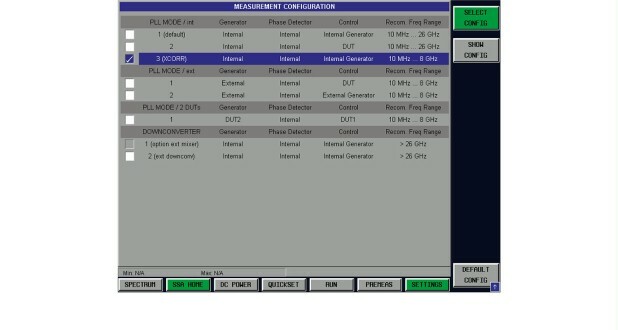 Through a 90° phase shift of the paths, inherent generator noise is eliminated, leaving only the noise caused by the DUT. Cross-correlation: Two identical receiver paths minimize the influence of the internal reference. 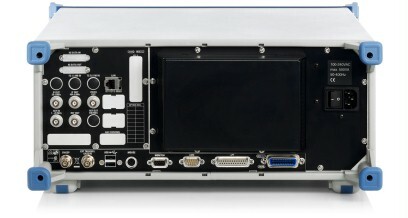 The additional microwave frequency converter enables measurements up to 50 GHz. 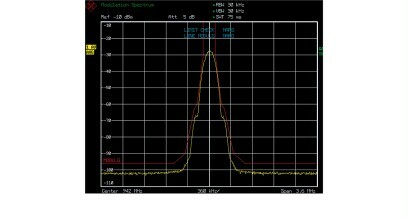 Improvement of phase noise sensitivity by means of cross-correlation. Measurement of the phase noise of a signal source at 25.8 GHz without cross-correlation (green trace) and with cross-correlation, 100 (violet) and 1000 (yellow) averages. 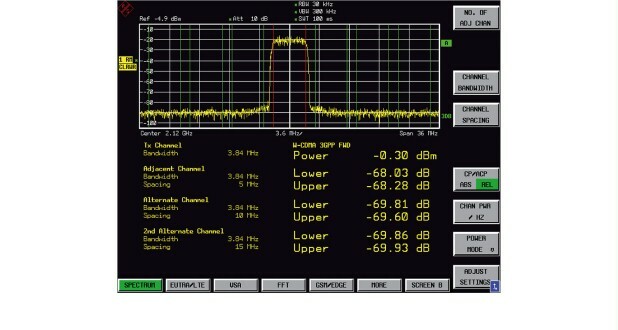 A phase noise measurement using the spectrum analyzer. 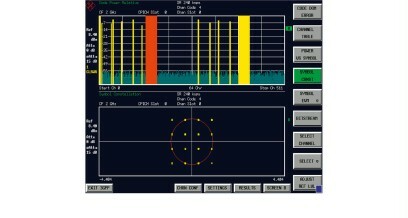 The blue trace shows the measurement result up to an offset frequency of 1 GHz. The inherent noise (green trace) is subtracted from the measured signal (yellow trace). Measurement of the adjacent channel power of a 3GPP base station signal. 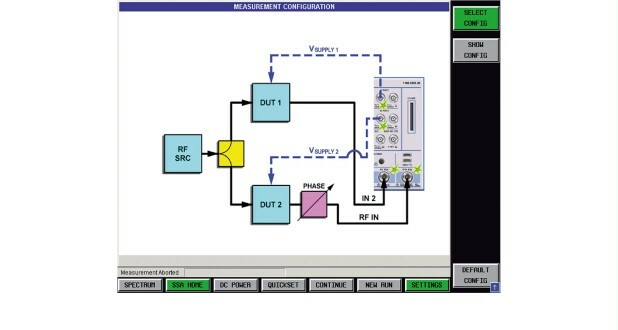 Transient response of a generator. Menu for setting the DC ports for signal source analysis and additional port for negative supply voltage. VCO tuning characteristic: The result shows the settable frequency range and the tuning slope of the oscillator. 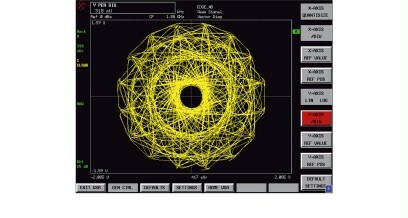 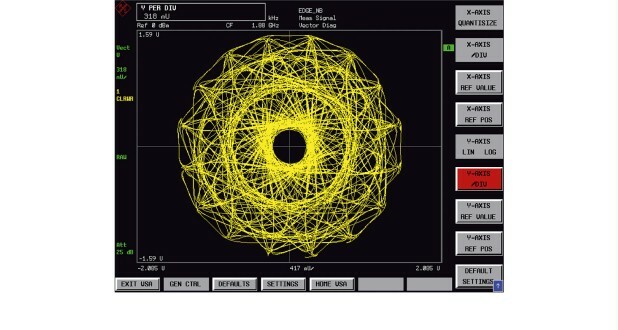 Constellation diagram of an EDGE signal, analyzed with the R&S®FSQ-K70 vector signal analysis option. 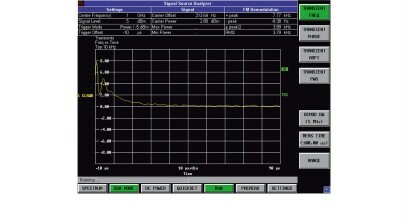 Measuring the modulation spectrum of an EDGE burst. WCDMA code domain power measurement by means of the R&S®FSUP and R&S®FS-K72/R&S®FS-K74 (HSDPA). 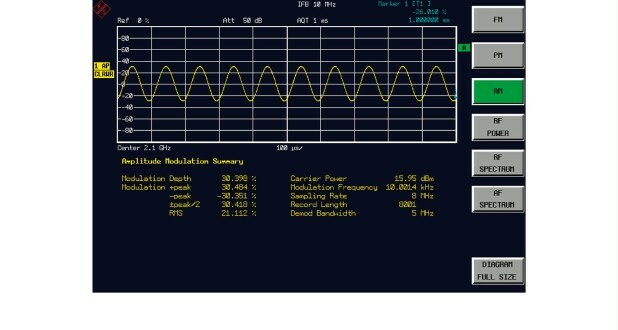 Demodulation of an AM-modulated signal: Power, modulation depth and frequency are displayed. An AF spectrum can also be calculated, which displays the SINAD and THD results. 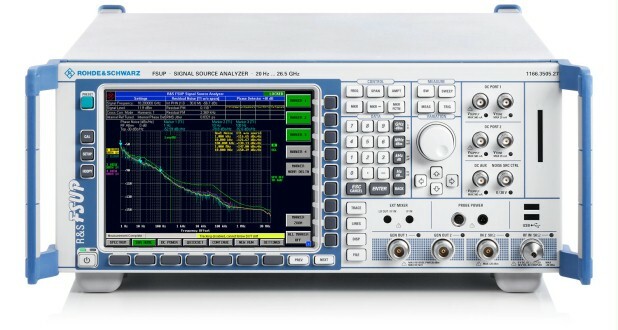 The R&S®FSUP is a highly flexible phase noise tester with versatile measurement capabilities that combines the scope of functions of a high-end signal and spectrum analyzer with the benefits of a phase-noise-only tester. Input level >+10 dBm, spurious and harmonics <–30 dBc, mode "averaged", +20 °C to +30 °C. 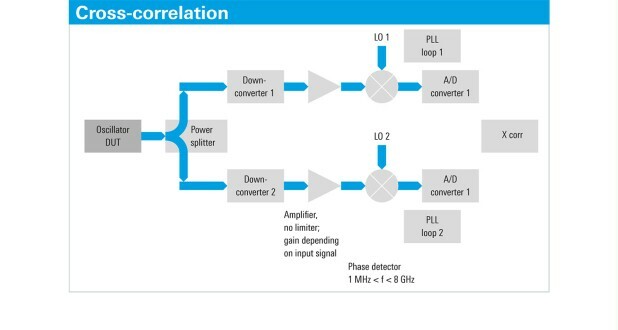 LNA gain 40 dB, loop bandwidth ≤10 × frequency offset, max. 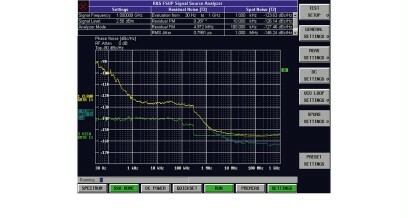 1 kHz. With the R&S®FSUP-B60 low phase noise option and the R&S®FSUP-B61 correlation extension option.